In today’s business world, growing your business idea into a reputable business or company remains the primary objective of every entrepreneur. This can only be achieved if proper startup strategies are put in place. Most business startups are faced with challenges such as finances, intellectual property, marketing and understanding the market environment. That’s why most of them end up taking years before they get off the ground. Therefore, the following tips will provide more insight to any entrepreneur who is climbing the business startup ladder to help them run as well as expand their startup business with ease. Capital is a major component drive of business success. Creating or identifying a reliable capital source for your startup will guarantee you a continuous business operation. There are many ways of raising capital for startups ranging from loans, grants and savings. Look for venture capitalists that have the potential to finance your business in the growth and expansion stage. Creating a financing for a startup strategy will increase the pace of your business growth. It’s also advisable that you carry out due diligence when selecting your financing sources to avoid starting with huge debts when pitching your business idea. Check this article on equity financing versus debt financing. Creating a marketing plan is vital for your startup business venture. This can be achieved if you come up with your target market segment then you develop your own brand. 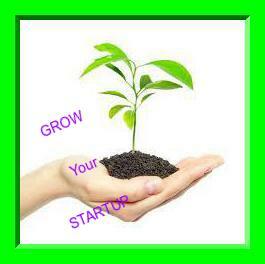 Therefore, you should develop your marketing strategy prior to your startup venture. As they say, “No man is an island”. If you don’t want to learn it through the hard way, go for a business mentor for training. Training will help you avoid the common mistakes and, therefore, give your business startup a competitive edge over the others. Business mentors will help by provision of step to step guidelines towards the achievement of your business success. What do I mean? This refers to enlarging your target customer basket. New business ventures tend to rely only on few loyal customers for their survival. For any entrepreneur who wishes to grow and develop his business idea, new customer target is the secret. Research more about the new group of customers you can target by meeting their needs. This will help you fill the gap of royal customers who may drop off as time goes by as well as increase your market segment. In order to achieve this, give regular preliminary offers and then set your new sales targets. Having a couple of sales channels is likely to increase your monthly sales targets by 50%. Many entrepreneurs have the tendency of using at-most two sales channels. Focusing on new sales and distribution channels such as online selling, can have a tremendous impact on your business growth. This will help you target a wide range of customers by selling your products and services globally. Use of social media platforms such as Face book, Twitter and Google+ can also play a very important role in marketing your business online.